Chef Owner of both Jackson's Bar & Oven and Petite Syrah, Josh Silvers learned his culinary craft from his father Don Silvers, in addition to honing his skills at different restaurants in and around the Bay Area and also Los Angeles. His style has sometimes been described as unorthodox, but with classical training. Josh Silvers is also the co-author of Down Home : Downtown, with chef Jeff Mall of Zin Restaurant & Wine Bar. 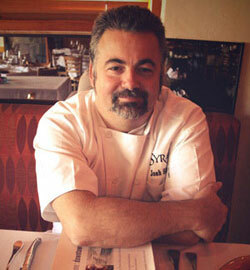 Josh has a show named Cooking in Sonoma with Josh Silvers that is broadcast on KSRO in Sonoma. You can find one of his gourmet recipes Egg Paté and Caviar in World's Most Beautiful Recipes.